A new flexible performance venue from the team behind the King’s Cross Theatre is to open in west London this summer, based within the former BBC Media Village. 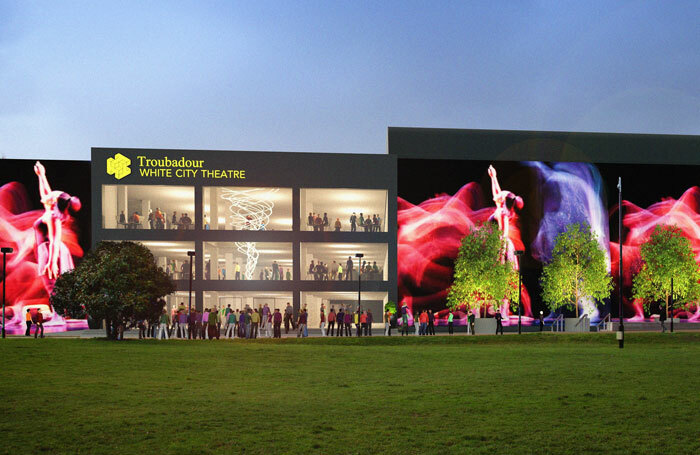 Troubadour White City Theatre, which will be operated by Oliver Royds and Tristan Baker, will have two performances spaces that can be adapted according to a show’s need. News of the theatre’s launch follows on from plans for a venue in Wembley Park, which will also open this year, called Troubadour Wembley Park Theatre. The Troubadour White City Theatre will feature a 1,200-seat space and another that will seat up to 800 audience members. Royds and Baker said they wanted to create a programme of work from “well-known and emerging production companies and artists reflecting the vitality of London”. They said their aim was to help commercial theatre producers present work “beyond the limitations of traditional West End theatres”. “White City Place, with Television Centre as its nearest neighbour, sits within an area that is synonymous with entertainment, storytelling and the diversity of British culture for years. It is only natural to build a theatre, another home for the imagination, alongside it,” they said. The pair also said they wanted to work with the local community to provide opportunities to “the next generation of talent”, adding that they wanted the venue to be run in an “environmentally sustainable way”. Full details of the opening programme will be announced soon.